View of the gorge of Eligia looking North. The photo was taken about one third of the way up into the gorge at Flyskounia. Beyond this point the gorge gets a little steeper and the walking is a little more difficult. 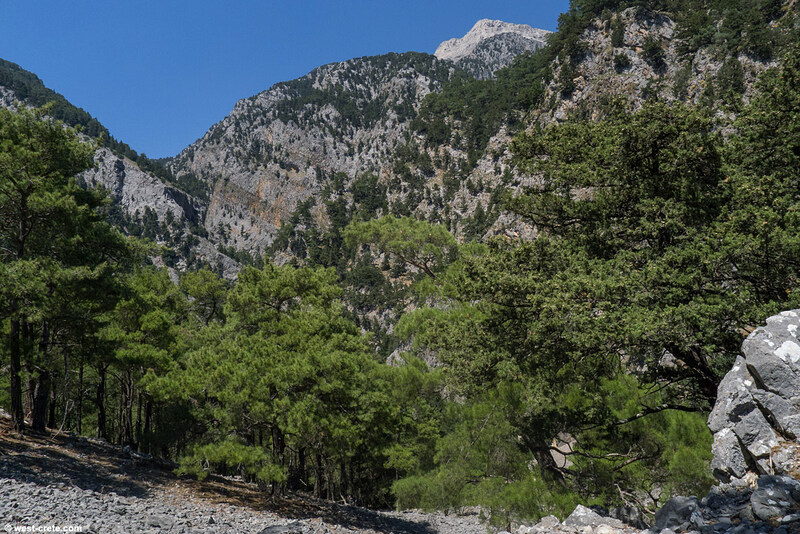 If you cross the gorge in its entirety (it will take you upwards of 8 hours from Agia Roumeli, the nearest village) you arrive in the valley of Potamos in the White Mountains. From that point the nearest settlements are either Omalos to the North or Agios Ioannis to the South, both at least 5 or 6 hours walk away. So realistically walking through this gorge takes two days.